A coalition of press freedom groups filed a complaint on Monday (4 January) with Europe’s top human rights watchdog claiming that a contentious new Polish law threatens media independence. The legislation, which would give Poland’s conservative government the power to directly appoint the heads of public broadcasters, was pushed through parliament late last month despite EU concern and condemnation from rights watchdogs. These changes would be “wholly unacceptable in a genuine democracy,” the four associations, including the Association of European Journalists (AEJ) and the International Federation of Journalists (IFJ), wrote in their complaint to the Council of Europe Platform to Promote the Protection of Journalism and the Safety of Journalists (see background). The journalistic organisations point out that the Polish government’s plans directly contradict the commitments made by the Committee of Ministers of the Council of Europe in its 2012 Declaration on Public Service Media Governance, in which it called on member states to strengthen editorial and operational independence of public broadcasters and other public service media. The media bill was approved on Wednesday (30 December), just two days after it was submitted to parliament, which is dominated by the Law and Justice (PiS) party of Jaros?aw Kaczy?ski following general elections in October. To take effect, it must be passed by the PiS-controlled Senate and signed by President Andrzej Duda. The complaint, which was also signed by the European Federation of Journalists (EFJ) and the Committee to Protect Journalists (CPJ), calls on the Polish government to abandon the legislation “at once”. Media “must remain independent of political or economic interference, and should be accountable and transparent as they have the obligation to serve the public in all its diversity”, the complaint says. Once a complaint is published, the Council of Europe sends it to the nation involved for a response. The council, which has 47 member states, can then react publicly or start a dialogue with the authorities concerned. Under the proposed law, senior figures in public radio and television will in the future be appointed — and sacked – by the treasury minister, and no longer through contests by the National Broadcasting Council. The European Commission said on Sunday (3 January) it would debate the rule of law in Poland this month in the first stage of a potentially punitive procedure in response to the legislation. European Commission President Jean-Claude Juncker has placed an initial debate on the rule of law in Poland on the agenda of the Commission meeting on 13 January. The Council of Europe launched the Platform to Promote the Protection of Journalism and the Safety of Journalists in April 2015 aiming to protect journalism and to promote the safety of journalists in Europe. Seven partner organisations contribute to the platform: Article 19, the Association of European Journalists, the European Federation of Journalists, the International Federation of Journalists, Reporters Without Borders, Index on Censorship and the Committee to Protect Journalists. The platform allows these partners to issue alerts concerning media freedom threats and to bring them to the attention of the Council of Europe institutions. Once the alerts are published, the Council of Europe sends them to the authorities of the country concerned. 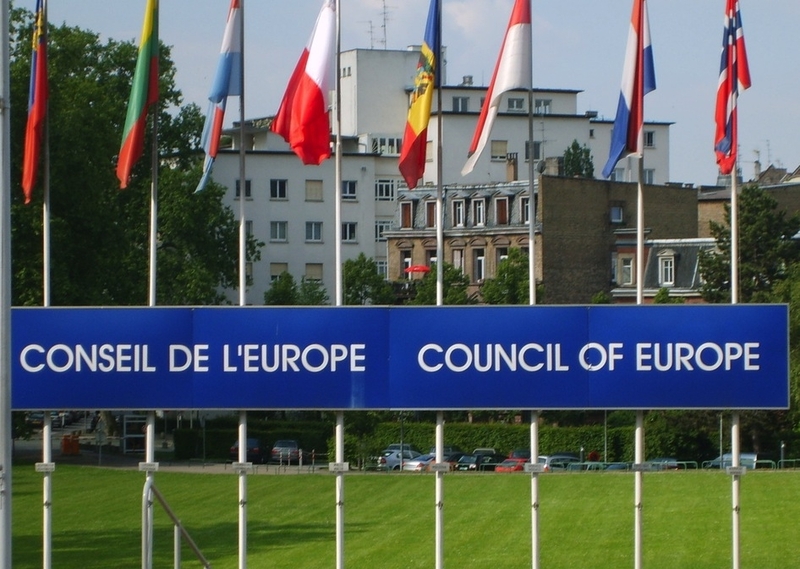 The Council of Europe institutions may react publicly or start a dialogue on the issue with the authorities. Subsequently, responses of the member states and follow-up action taken by the competent bodies are also posted on the platform. So far, the platform has recorded 106 alerts concerning 25 states. States have replied to 52 of them. The unelected European Commission interferes with the internal decisions of a Nation State’s democratically elected government ? Only in the draconian EU could that be thought to be acceptable. Where were al these organisations in the last 8 years when the ruling party PO totally controlled the public media and ran a tirade of abuse and hate against the opposition. The so called Civic Platform nominated all candidates for all important executive positions in the media and the Constitutional Tribunal, but that was just fine because they bowed and scrapped to Berlin and Brussels. The EU is undemocratic, unaccountable and in need of reform yet no-one has the courage to take them on. Money, privileges and lucrative positions silence any dissent. The Poles know why they voted out the corrupt, inept and with full disregard for the rule of law, previous government. Great changes are taking place not only in Europe and the Middle East yet the insular EUrocrats hide in their bunker defending an old order. Do they not have any knowledge of history and its tendency to repeat itself? It is not only in Poland that the government does that. In Greece, Italy, Spain etc they do it all the time. No one spoke up then. On the same matter I would like to know if Euractiv is financially supported by the Commission, and if yes with what means. In Greece the previous government went to the extend to shut down COMPLETELY the national tv and radio and the current one is doing the same in every public institution, hospitals, media, etc. Why isn’t the Commission speaking about it?